Polyeco SA, a leader among the most prominent waste management companies in SE Europe, following a tendering procedure issued by the Decentralized Administration of Attica, has been awarded a contract for the management and disposal of hazardous waste (gas cylinders) and the remediation of contaminated area within the geographical boundaries of the Decentralized Administration of Attica. 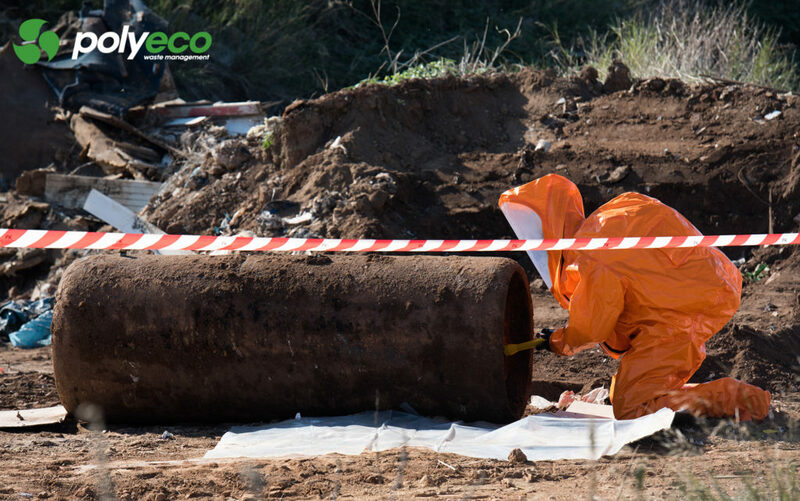 On October 27th, 2018, Polyeco's specialized personnel, visited the area of Agios Georgios in Aspropyrgos, in order to collect, decontaminate and transport chlorine gas cylinder with evidence of leakage for further treatment. The cylinder was buried there since June 2016, below a large volume of soil and debris/demolition waste. The work area was demarcated using warning signs such us demarcation tape and Information Tags, creating two safety zones. A safety and training induction on the potential risks associated to waste management of this specific waste stream, along with proper usage of the highest standards of Personal Protective Equipment (PPE) and Emergency Response Plan was held to all involved personnel. The overlying materials were removed using an excavator and portable gas detectors were mobilized in order to measure any potential gas leak. Consecutively, decontamination-emptying of the gas cylinder took place using specialized filters array. The decontamination operations were completed on the same day and the gas cylinder was transported to Polyeco’s facilities in accordance with the ADR regulations, for its sound environmental management. 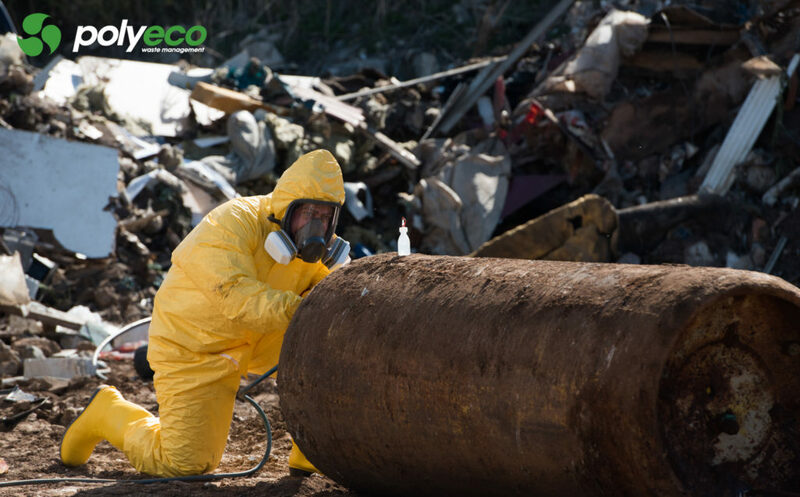 Polyeco SA has successfully executed a challenging toxic waste management project, providing a sustainable solution to Decentralized Administration of Attica.